Home Blog Business & News Are These Insurance Issues Still Relevant For Today’s Small Business? Are These Insurance Issues Still Relevant For Today’s Small Business? Running a business isn’t easy. There are many things to consider for a business to be a success. For some merchants, they don’t consider some very important aspects of their business and instead only look at their income and expenses to determine their profit margin. While profit margins are important. There are some significant issues that can only truly be addressed by purchasing the proper insurance. Interestingly, nearly half of all small businesses in the US have never had any insurance. This can be a huge risk, especially if small businesses conduct any of their transactions online or keep customer information electronically. Businesses that conduct online transactions and store information online have more risks than those that conduct business offline. One of the biggest risks they face is the risk of being hacked. Research has shown that small businesses are particularly at risk as they tend to have poorer website security and hackers know this. Experts believe that half of small/medium businesses in the US have already had a security breach, whether they know it or not. The fact is, that small businesses just don’t have the resources for the best security. 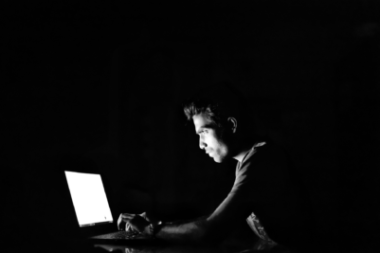 In addition, many businesses haven’t improved their ability to protect themselves but hackers have improved their techniques, and therefore, the threat is even greater than it was ten years ago. Another major risk for online businesses is the interruption it causes. Many small businesses rely on third-party services to keep their stores open. For instance, servers for websites, payment gateways, etc. If any one of these are taken offline for any reason, businesses can lose out on revenue. Yet many businesses don’t protect themselves from this and from a revenue perspective this can be disastrous. Any outage in operations is analogous to not opening a business during the busy season. The potential lost revenue could ruin you! Nothing can protect a small business from these outages, which were not as concerning just a decade ago. This is why it’s extremely important that all small businesses ensure that adequate and proper insurance policies are in place to protect their business and their livelihood. When looking to protect your business, you should get the best advice, which is where an independent broker can help. They are legally obliged to make sure your business has the right insurance to protect it. They’ll also be able to tell you what level of insurance you need, as well as the right coverage based on your business. Are you protected from online crime? Can your small business survive a business interruption? Contact Professional Liability Insurance Group at 856-692-7702 or info@ProtectUsBetter.com to see if we can help your business with its insurance needs.